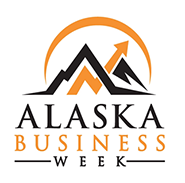 Alaska Business Week is a fun, intensive entrepreneurship experience for Alaska high school students. ABW runs one-week programs teaching Alaskan high school students the basics of business, leadership and entrepreneurship. ABW students are the creators and innovators for Alaska’s next generation of products and companies. Participants compete as teams in a dynamic business simulation with the guidance of adult mentors from the business community. After completing the program, students have a competitive edge on workplace readiness, college preparation, and overall life success. ABW gives participants the tools they will need to succeed after their high school graduation. At ABW, students get personal experience working with real business leaders, company founders and CEOs. At the start of each camp, students form dedicated teams or ‘companies’ to compete in a gamified business simulation. The curriculum is designed to promote leadership, ethical decision-making, public speaking, collaborative teamwork, and profitable entrepreneurship for Alaska communities. Professionals from some of Alaska’s most prominent companies mentor students on leadership, compelling marketing, world-changing technologies, and how to bring strong personal ethics into the business world. Students present their ABW achievements to executives from prominent companies like NANA, Alaska Airlines, ConocoPhilips, Alaska Communications, and Alaska USA. ABW hosts a weeklong, on-campus program for students interested in experiencing life on a college campus. The 2018 program runs from July 14-21 at Alaska Pacific University in Anchorage and is available to high school students from any Alaska community. In addition to the weeklong summer camp, ABW offers regional programs around the state. The annual Mat-Su program runs from July 22-26 at Colony High School. If you would like see an ABW camp in your area, please let us know!